Yanmenguan on Yanmen Mountain, located south out of Datong in northwest Dai County, is the first of three outer Great Wall passes in Shanxi. The other two Passes are Ningwu Guan and Pian Guan. The Great Wall Inner Layer through Yanmen Guan has an adjoing section leading Northward to the village of Beibu (Beibao) where it inter-connects with the Outer Layer. Originally built in the Tang Dynasty (AD 618 AD - 907 AD) the Pass Gate of Yanmen Guan was moved and rebuilt in 1374 AD during the Ming Dynasty (1368 AD - 1644 AD). 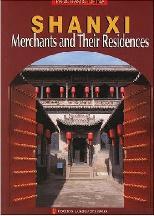 At the Time Ji'an Marquis Lu Heng who was in charge of the local defenses moved Yanmenguan Pass several kilometers to the north, and built a new pass city at present place. Throughout history it was known as one of the Nine Strategic Fortresses on the Great Wall of China known as the Wild Goose Pass. To signify its prime importance the Gate was built in Stone and Brick. The Fortress of YanmenGuan was enlarged several Times to reach its maximumum size. A Schematic Map of the Several Layers of the Great Wall of China defenses as they existed during the Ming Dynasty (1368 AD - 1644 AD) in Gansu, Qinghai, Ningxia, Shaanxi, Shanxi and Hebei Provinces. 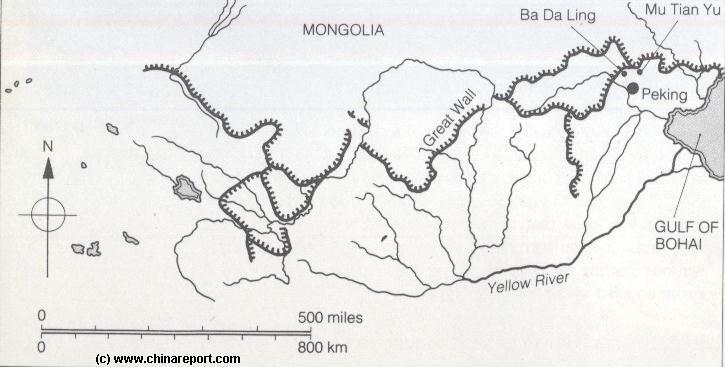 Map includes location of + link to Great Wall Passes as reported on by ChinaReport.com. Mouse over & Click Links for more Information and Photos. At Yanmenguan Pass, a six-meter-tall wall guards the entrance to a castle at this once-impenetrable site, guarding over an undulating landscape of thick forest. A pair of carved stone lions, flag posts and pillars remain as testament to the arched gates that once stood to the east, west and north. A nearby attraction are the remnants of ancient Tombs known as the Han Warrior Tombs. Scattered throughout the landscape these burial mounds mark the Tombs of long dead Generals and field commanders of the period 206 BC - 25 BC), a time during which the Inner Section of the Great Wall of China in Shanxi Province was actually the border between two Warring Nations. Due West out of YanmenGuan lies a less visited but equally famous site, the Fortress of Baicolingkou. Here, long before the construction of the current day Great Wall, an honored General named Yang Ye, used the defenses of an earlier Great Wall of China version in the area to defeat the onslaught of the marauding Khitans. They were turned way in the year 980 AD, leaving more dead under burial mounds in the vicinity. The pass is located on the summit of a hill accessible only by an ancient trail which winds its way up between cliffs. 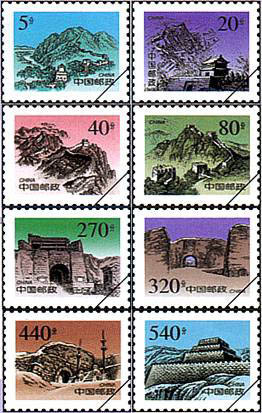 Yanmenguan and other famous Great Wall passes on Chinese Stamps (Series). A Full Google Earth Supported Map of YanMenGuan Pass by Google.com. Adjacent Map gives direct access to the YanMen Pass Map by Google Earth.